Name your deserted island food. You can’t pick a meal, just one food ingredient you would choose to have for the rest of your days if you were stranded. 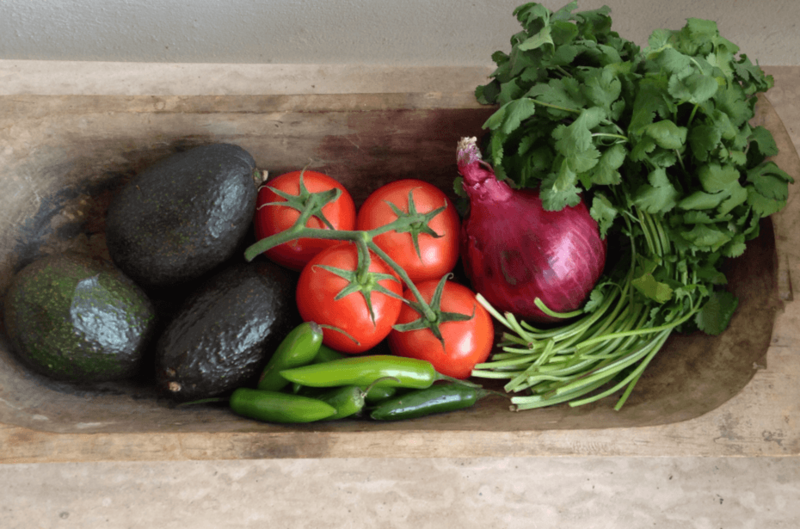 It’s a question I recently posted on my Facebook page, and while I got everything from almond butter to chocolate cake, the most common response was avocados. Although I wouldn’t mind being stranded with the person who chose the chocolate cake, my pick was also avocados. You might think I’d go with the fruit because they boast over 20 vitamins and minerals, a healthy dose of fiber, and heart-healthy fats, including omega 3s.Not really. I love that they’r good for you, but whether I’m on a deserted island or landlocked, I eat avocados almost daily because I can’t get enough. Avocados not only go with everything. Avocados make everything better. My favorite way to enjoy them is with a little sea salt. Nada else. If it’s a great pick, that’s all it needs. That being said, I won’t be mad if someone makes guacamole. And I’ll be even less upset if there’s a guac bar, a sample of guacamoles with something for everyone. 1. Good avocados. It’s hard to go wrong with good ones. It’s impossible to fix bad ones. Pick avocados that are firm but still have a little give. 2. Keep it chunky. Mash or mix the avocado too much and your guacamole can go south. Break the avocado up a bit with a fork or potato masher, then fold in additional ingredients. 3. And, I may be alone on this, but don’t overdo the lime. Too much citrus can kill the beauty of the avocado flavor. First on the menu: My mom’s traditional Mexican recipe with tomatoes, red onion, cilantro, serrano peppers, salt and a little lime. Then, a guacamole with a sweet summer twist: fresh mangoes and pineapple. And, because I’ve been on a sunflower seed kick of late, I tried a toasted sunflower seed guacamole with a touch of fresh squeezed orange juice. And? It was delicious. The seeds added a nice and unexpected crunch and toasted nutty flavor, and the OJ, the right amount of sweetness. The beauty about the dish is you get to add what you like, leave out what you don’t. Don’t like cilantro? Skip it. Want to spice things up? Add some of the Serrano pepper seeds. The amount of ingredients is also up to you. You might add just a little onion or more tomato. Make your guac your own. Cut avocado lengthwise and carefully remove the pit. Spoon out avocado pulp into a mixing bowl, and with a fork, gently mash the avocado, leaving large avocado chunks. Fold in remaining ingredients and salt to taste. Place in a small serving dish and serve immediately. *if you’re planning to make ahead, cover guacamole surface directly with plastic wrap and refrigerate. Serve within the hour. Cut avocado lengthwise and twist to separate halves. Carefully remove the pit. Spoon out avocado pulp into a mixing bowl, and with a fork, gently mash the avocado, leaving large avocado chunks. Fold in remaining ingredients and salt to taste. Place in a small serving dish and serve immediately. *if you’re planning to make ahead, cover guacamole surface directly with plastic wrap and refrigerate. Serve within the hour. Cut avocado lengthwise and carefully remove the pit. 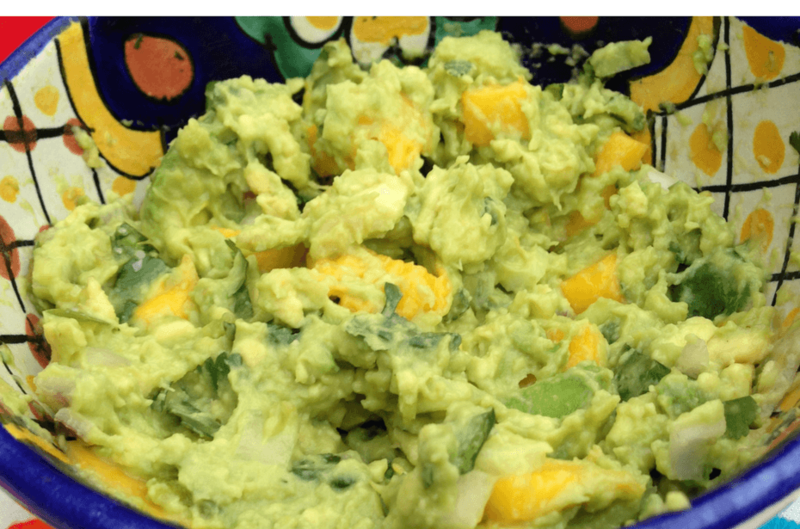 Spoon out avocado pulp pinto a mixing bowl, and with a fork, gently mash the avocado, leaving large avocado chunks. Fold in remaining ingredients and salt to taste. Place in a small serving dish and serve immediately. *if you’re planning to make ahead, cover guacamole surface directly with plastic wrap and refrigerate. Serve within the hour. 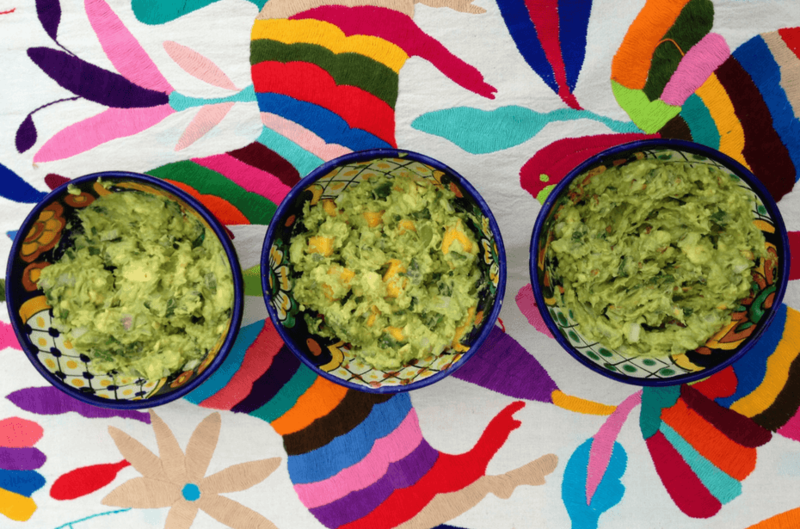 If you’re planning on making these a bit ahead of time, cover guacamole surface directly with plastic wrap and refrigerate. Serve within the hour.